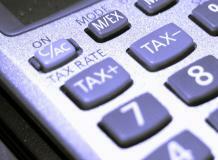 to know how the fees you pay will be treated for tax purposes. The provider may be the ‘final’ taxpayer, in which case any returns you receive are after tax. You may receive the gross return and have to put that income in your own tax return. a unit trust as they are taxed in the same way as companies. service, such as advice, that does not fit within financial services. In some cases, GST applies to the full investment fee.